Thank you for your visit our homepage. KANRICH is an experienced professional designer and manufacturer of Color, B/W video, CCTV Camera, Alarm, Video intercom system for Building Model, House Model, Apartment Model. Our products are sold in over 50 countries. KANRICH reliability is now well-established with international safety approvals. As one of the leading manufacturers of Security / Video Doorphone in Taiwan, we, Kanrich Electronic Corp. are proud to introduce our current products range. As we don't have any min. 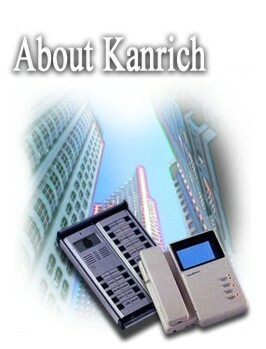 q'ty request, you can buy set of sample(s) for testing in order to understand Kanrich's products. Please advise which model you are more interested in, we will send you price list very soon. The very special prices will be followed right away if you place an order. Meanwhile, if there's any further question and/or assistance needed from Kanrich, please feel free to let us know at your earliest convenience.